John Fairfax Bayly-1 was born in 1800 in Accomack County, Virginia. He died in 1860 in Accomack County, Virginia. He married Polly Chesser.She was born in 1804 in Accomack County, Virginia. Polly was born circa 1804 at Accomack Co, VA.1 Polly was listed with another family in the census of in 1850 at Accomack Parish, Acc Co, VA. She was shown as Polly Chesser, age 46, in HH#1000 headed by Fairfax Bayly, age 50. Also listed were Julianna Bayly, age 13 and Susan Bayly, age 8, who, according to their marriage records, were the daughters of Polly Chesser. (NOTE: It is not clear why were were shown in the census as Baylys and on their marriage records as Chessers. Perhaps Polly Chesser was a housekeeper for Fairfax Bayly and were never married, as no marriage record has been found. ).1 Polly died in 1860. She was not found in the 1870 Accomack Co census. Lewis 'Levin' Bayly, B: 1829, D: 07 Sep 1880. Julia Ann Bayly, B: 1837, D: 11 Apr 1912. Susan Chesser, B: May 1840 in Accomack County, Virginia, D: 09 Dec 1922 in Sanford, Virginia. Susan Chesser-2(John Fairfax-1) was born in May 1840 in Accomack County, Virginia. She died on 09 Dec 1922 in Sanford, Virginia. She married Constantine Drummond Sr., son of William H. Drummond and Elizabeth. He was born in Jan 1838 in Accomack County, Virginia[3, 4]. He died on 09 Dec 1922 in Sanford, Virginia. Lewis W. Drummond, B: 1860, D: 20 Sep 1912. Olivia F. Drummond, B: 1862, D: 1942. Carrie Lee Drummond, B: 1868, D: Jul 1914. John F. Drummond, B: 24 Dec 1864 in Accomack County, Virginia[5, 6], D: 13 Nov 1936 in Chester, Pennsylvania. Constantine Drummond Jr., B: 1877, D: 14 Jan 1953. John F. Drummond-3(Susan-2, John Fairfax-1)[5, 6, 7] was born on 24 Dec 1864 in Accomack County, Virginia[5, 6]. He died on 13 Nov 1936 in Chester, Pennsylvania. He married Mary Jane Tapman.She was born in Aug 1868 in Accomack County, Virginia. She died in 1910. Amanda Drummond, B: 1910, D: 1971. Zeddock Drummond, B: 23 Jan 1898, D: 05 Feb 1898. Eppie Drummond, B: 1887, D: 1944. Sadie I. Drummond, B: 1892. John W. Drummond, B: 05 Jul 1893. Mary Elizabeth Drummond, B: 05 Jul 1893. Noah Drummond, B: 30 Aug 1901, D: 05 Oct 1984. George Frank Drummond, B: 08 Mar 1905, D: 24 Mar 1954. 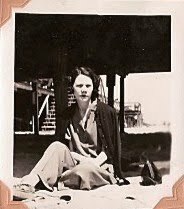 Mary L. "Nora" Drummond, B: Aug 1907 in Accomack County, Virginia, D: Mar 1945 in Chester, Pennsylvania, M: Alfred Curtis Taylor, 1930. Mary L. "Nora" Drummond-4(John F.-3, Susan-2, John Fairfax-1) was born in Aug 1907 in Accomack County, Virginia. She died in Mar 1945 in Chester, Pennsylvania. She married Alfred Curtis Taylor in 1930, son of James Alfred Taylor and Elizabeth Higgins. He was born on 26 Feb 1902 in Cape Charles, Virginia. He died in Nov 1978 in Chester, Pennsylvania. She married Joseph Hollis in 1940 in Chester, Delaware, Pennsylvania. Catherine Ann Louise Taylor, B: 15 Aug 1925 in Saint Charles, Virginia, D: 23 Jul 1977 in Aurora, Kane, Illinois, M: Paul Evans Sweeny, 12 Jan 1946. Alfred Taylor-5(Mary L. "Nora"-4, John F.-3, Susan-2, John Fairfax-1). He married Amy. Catherine Ann Louise Taylor-5(Mary L. "Nora"-4, John F.-3, Susan-2, John Fairfax-1) was born on 15 Aug 1925 in Saint Charles, Virginia. She died on 23 Jul 1977 in Aurora, Kane, Illinois. She married Paul Evans Sweeny on 12 Jan 1946, son of Charles Roe Sweeny III and Ella May Bouchelle. 1. [S638] Family Tree Maker's Family Archives, 1850 Virginia Census Microfilm Records, CD#309. 2. [S586] E. Thomas Crowson & Susan Crowson Hite, 1860 Accomack Co, VA, Census. 1. [S551] Barry W. Miles & Moody K. Miles, Accomack Co, VA, Marriage Records, 1854-1895 (Recorded in Licenses and Ministers' Returns). 2. [S638] Family Tree Maker's Family Archives, 1850 Virginia Census Microfilm Records, CD#309. 3. [S39] 1910 Accomack Co, VA, Census. 4. [S360] Accomack News, 22 Dec 1922 issue.